Tomorrow morning we’ll be sharing our must-have items for girls and boys and one lucky winner will get to pick which gift guide they’d like to take the whole bundle home with them! We’ve been scouring the internet, testing out products and thoughtfully picking each item. 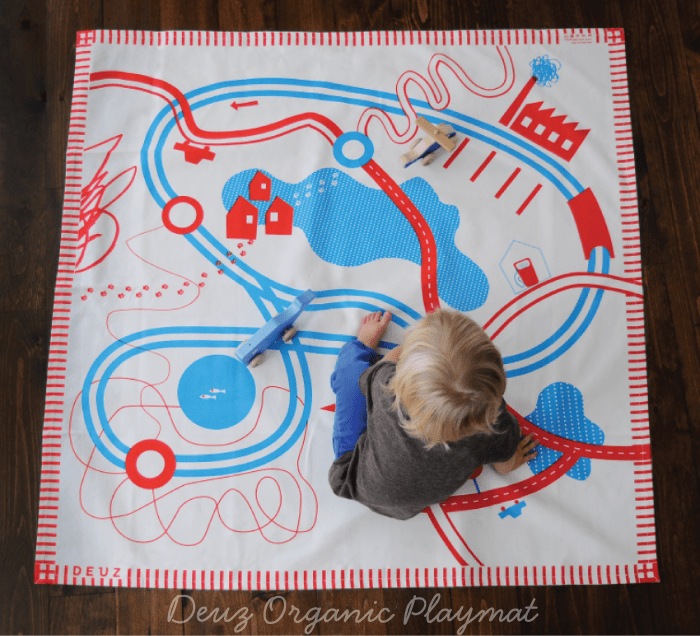 Here’s a sneak peek at one of the several items on the gift guide: a Deuz playmat from Ella Lou. 100% organic cotton, ethically handmade in India and absolutely gorgeous. We love Ella Lou and their expertly curated shop full of French-inpsired goods. Check out this helicopter and whale wood push toys, pictured below. Darling! Shop Ella Lou here / Like Ella Lou on Facebook / Follow Ella Lou on Pinterest / Read their blog here. and enter to win one of your own tomorrow! Also, congrats to London of A London Review for winning the iPhone or Canon DSLR giveaway! Email us your address and your pick and we’ll send it right out! 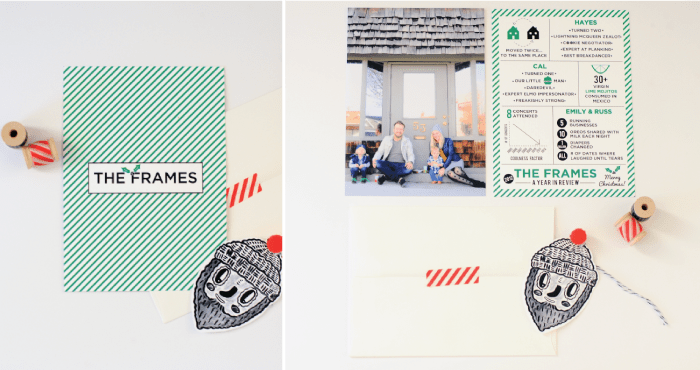 Now that all our Christmas greeting cards are signed, sealed and delivered, we can finally share them with you! 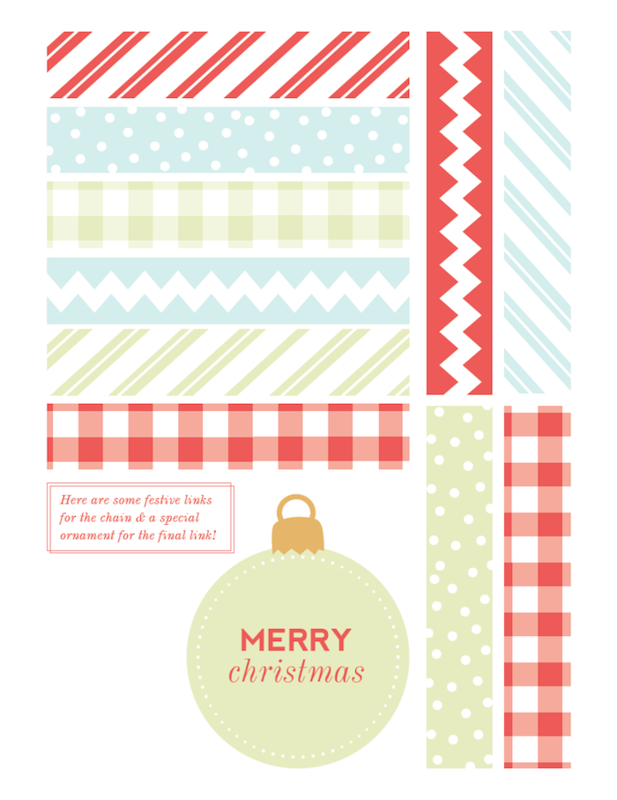 Bri of Collected Blog designed each of them and she nails it every time. We kept our cards a surprise from one another and even thought it was risky, luckily they all ended up unique to each of us. Nicole went simple in design and brought big punches of color with their family photo. Jenna shared her family’s year of traveling and installed a little baker’s twine map! Emily put together an infographic marking the year in numbers, milestones, travels, and funny tidbits. No matter what you need for your Christmas card greeting this year, Bri is your girl. She can do it all, check her blog and portfolio out here. She’s also running a 12 Days of Free Downloads for Christmas, and they’re flawless. Check it all out here. Happy holidays from us to you, if you’d like to swap cards digitally, link to your own Christmas card posts in the comments, we’d love to see what you cooked up! 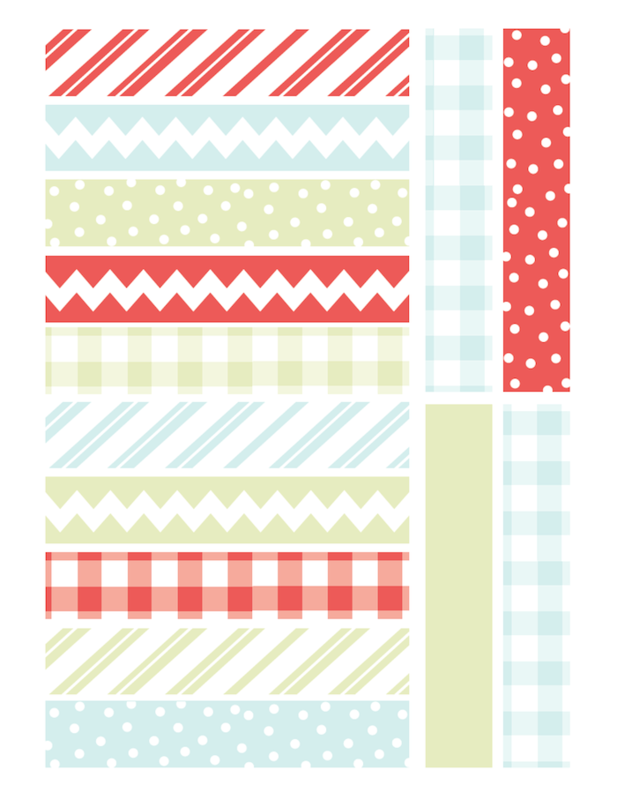 Styling Credits: Washi Tape provided by The Sewing Post, lumberjack by Roxy Marj. We’re in that funky time of year where there isn’t any snow (and hence no fun snow activities to be had) but it’s still bitter cold. We’ve been cataloging ideas for great indoor activities to do with our kids that don’t involve a screen, and Roxy Marj is topping the list! The Roxy Marj Etsy shop is incredible and has such a vast collection of cool pieces, and we especially love the coloring posters! While it takes some restraint from the more controlling sides of us, letting the boys fill it with color provided us all a morning of fun and an awesome piece of art for our walls. 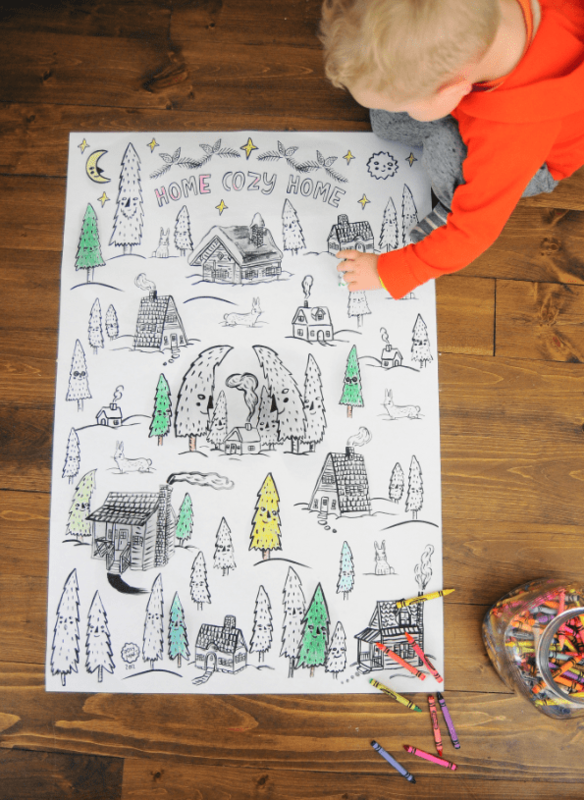 Head to Roxy Marj on Etsy to see the series of coloring posters, we all have the “Home Cozy Home” piece in our own houses and love it! And if you’re needing a jolt of creativity this morning, may we suggest Roxy Marj’s blog. Just try to go one page without pinning something. 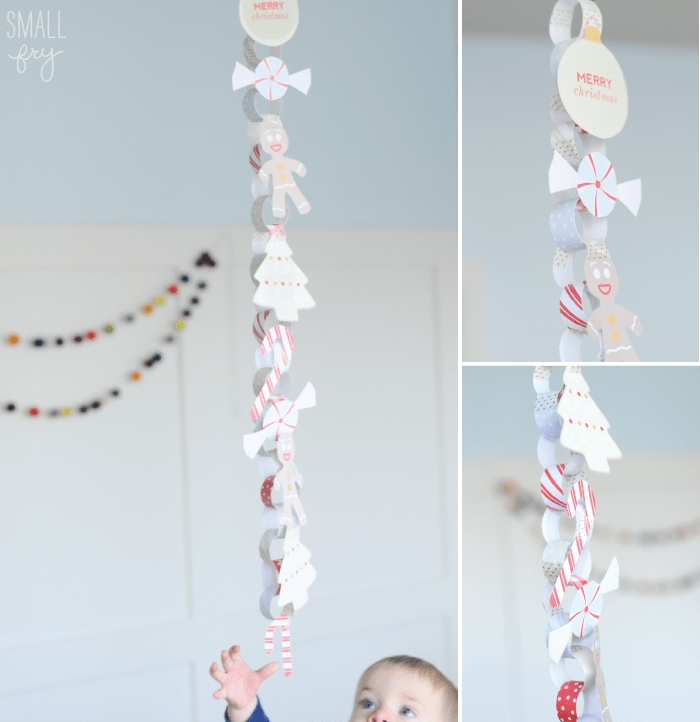 We shared this project over at Say Yes to Hoboken today, and it’s a super easy and modern addition to any holiday decor! 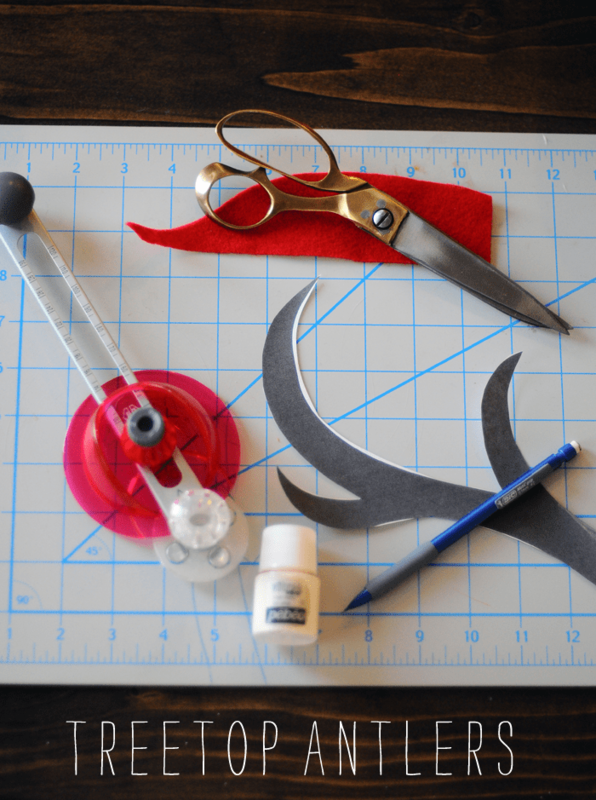 You can read all the instructions at Say Yes, and even download a free printable for this awesome antler tree topper! Head over and say “Hi!” for us! Check out the post over at Say Yes to Hoboken here. Thanks to Pebeo for the craft supplies and Nico Nico Clothing for the darling t-shirts! Pebeo is a leading art supply company based in Canada, they make paints that work on any type of surface or material and they have generously donated craft supplies for all of our holiday projects this month. Check them out and spark your creativity! You’ll be seeing lots more of Nico Nico Clothing, they are based in LA and manufactured in the US as well. We’re smitten with their line and can’t wait to show you more! We have three awesome women today for Mum’s Threads! They are each wildly talented in their own right, work hard at home and away, and have effortless style in any case. Meet Kelsey, who hosts her own cooking show “Kelsey’s Essentials” on the Cooking Channel, writes her popular food blog, calls New York City home, and is a mother to darling Oliver. She has a real passion for anything delicious and we’d follow her into a dark alley if she said one of her gourmet meals was waiting for us there. 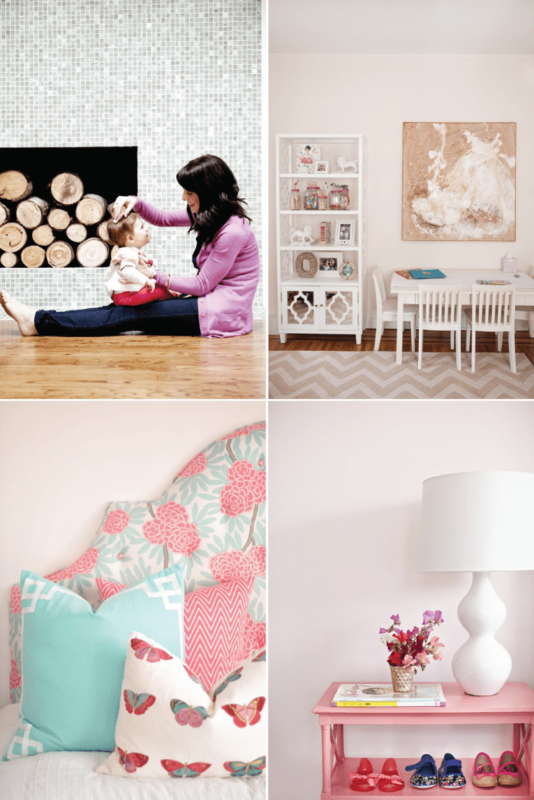 Sarah, one click to her blog and you’ll be instantly inspired. She is a wizard with a seam ripper and upcycles drab, baggy clothes into beautifully tailored pieces. She is mom to the spunkiest little girls Adi and Ana and her motherhood tales are always brutally honest and humorous. Anyone, who answers when asked, “When do you get it all done?” with “Naptime!” is alright in our book, because that’s our answer, too! “I love wearing dresses because not only is it more comfortable than jeans or tight pants (that makes your mommy tummy roll out when your sitting down, you know what I’m talking about! ), when you’re on the go, it doesn’t require as much time to decide what to wear. Because it’s a one-piece, you got your top and bottom covered all in one, so you only need to accessorize. I love wearing colored scarfs because it can make any dull outfit pop and look more polished. I wear tights under my dresses to keep me warm in the cooler seasons. Rain boots are easy to slip on and off, and also water, oil, & stain resistant. You never know what you’re going to step on when you’re chasing two little kids around! A shoulder bag is a must, so I have my two hands free while I’m carrying everything I need in the bag. My make-up essentials are concealer, to make my eyes look more bright & less tired looking, blush, to look more youthful & energized, and pink lipstick to help all my facial features pop. and Shelly: you can follow her and her darling crew on Instagram (@shellyhyde) but she inspires us everyday! When we started this blog we wanted it to be a motivator for living life with our kids deliberately each day. One melt-down in line at Target can turn anyone into a sweat pant wearing hermit, mumbling “I don’t know why I ever leave the house” under our breath for the rest of the week. Shelly grabs life by the horns and is always hitting a museum, a fun park, or a dance class. She regularly hosts (large!) play dates and her feathers are seemingly unruffled by chaos, which is a trait every mother needs to learn. We have three more awesome mamas’ threads on our Facebook page, check it out here. Even when she thought we weren’t watching, when the camera wasn’t rolling, Kristina handled her children with the care that you would a glass ornament for the top bough of a tree. Her ongoing patience and concern for her children was something to aspire to, especially in this season devoted to showing our loved ones how we truly feel about them. Check this film out to get you in the holiday spirit in a hurry! Film by Jenner Brown of Lumineux Films for Small Fry. See more of Kristina and family on instagram @kristinamcpherson. Watch the rest of our Small Fry films here. 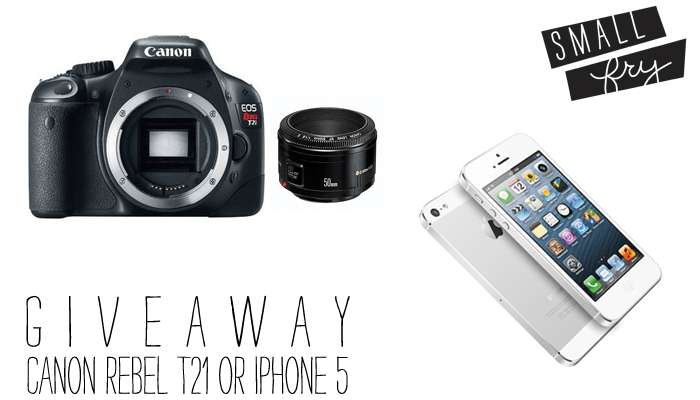 Congrats to London of A London Review for winning the iPhone or Canon DSLR giveaway! Email us your address and your pick and we’ll send it right out! 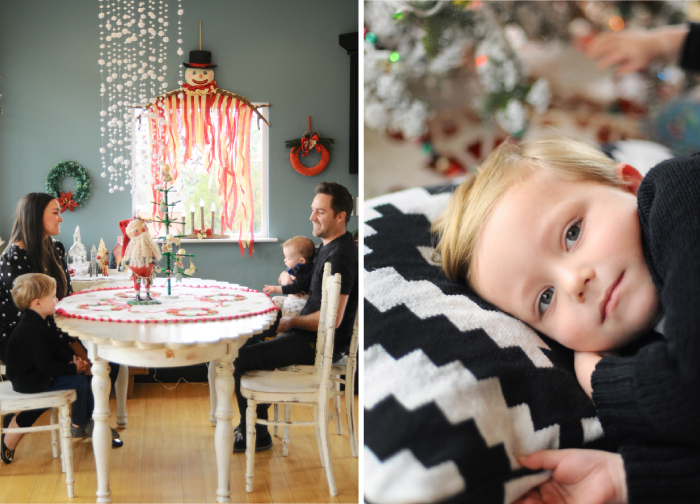 Are you scrambling to get your family’s Christmas card ready like we are? Our friend and blogging phenom, Jill over at One Good Thing by Jillee asked Small Fry editor and resident photographer, Nicole to write up some tips on getting the best from your family photoshoot, or even just taking photos on the fly day-to-day. You can read the tips here. Jill and Small Fry have teamed up to giveaway two readers (one commenter at Jill’s site and one here) their pick of their favorite memory capturing device: be it the Canon Rebel and our favorite 50mm lens, or an iPhone 5! We love Nicole’s tips, because it’s easy to over think it when usually the best photos are the ones where we’re not thinking at all, just being ourselves. 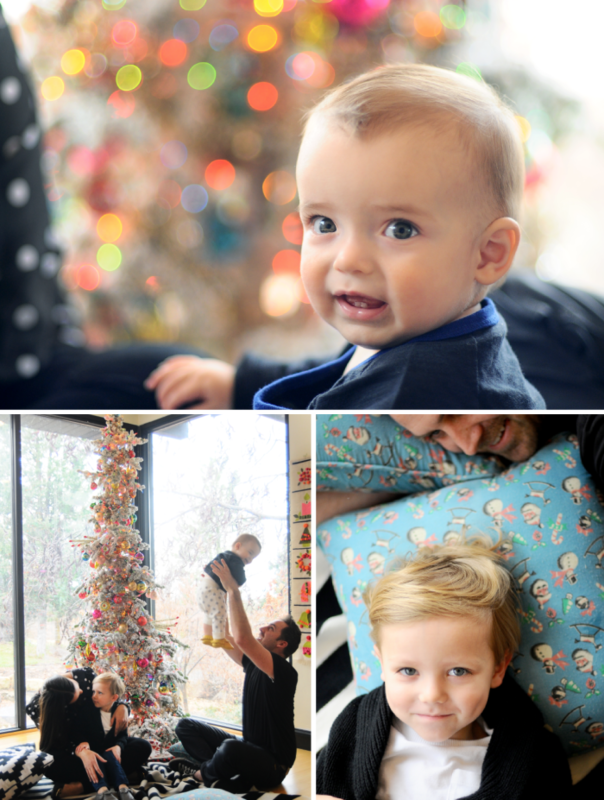 Here are some of the photos Nicole snapped to go along with her tips, aren’t they beautiful? Now, we’ve all had our turn with a DSLR and they are absolutely worth the effort, but if you’re looking to just shoot from the hip, literally, the iPhone is a wonderful option. With an eight pixel camera built right in, you’ll be getting gorgeous photos all the time with minimal effort. Here are some of our favorite photo applications for our iPhones, if you need a starting point! Are you going to try your luck at the Canon Rebel, we’re throwing in our favorite 50mm fixed lens, because that is the ticket to beautiful family portraits. Or are you going to go for the sleek user friendly iPhone 5? 1. Leave a comment letting us know which of the two options you’d pick! 3. Instagram a picture of your favorite subject to take photos of and mention @smallfryblog & @jillsgoodthings #onegoodgiveaway. Giveaway Terms:Winner must be 16 years or older and will be randomly selected and announced Sunday December 9th. You can select either the Canon Rebel T3 with the Canon 50 mm fixed lens f/1.8, or the iPhone 5 (just the phone, no contract necessary) in white or black. The winner will have 72 hours to claim their prize or another winner will be chosen. Good luck! 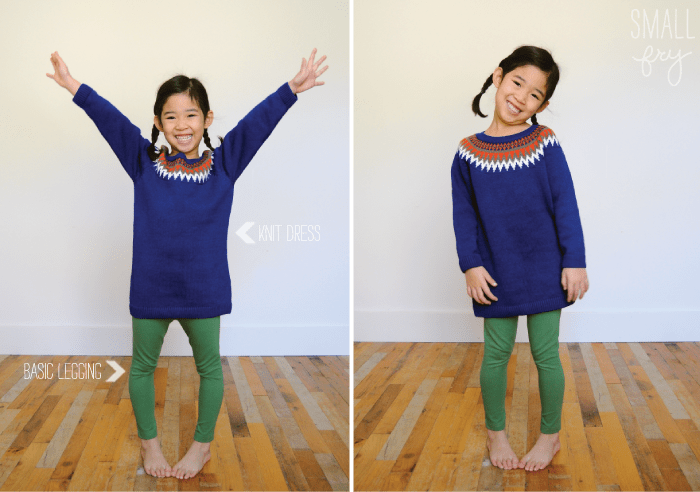 We’re all a little bit obsessed with the Scandinavian aesthetic so it’s really no surprise that Polarn O. Pyret is at the top of our list for kid’s clothes. P.O.P is all about letting kids be kids, and the form and function of their clothing is evidence of this. The thing that puts Polarn O. Pyret over the edge is their classic minimal design and fabric choices. Whenthey say they want you to be able to pass the clothing from sibling to sibling, cousin to cousin, boy to girl, it’s all very doable. We love Polarn and we know you will too! Head to Polarn O. Pyret to see their perfectly festive Holiday pieces, and super soft basics. They’re holding a 12 days of Holiday Items sale where each day a different item will be discounted up to 50% off! We like the sound of that. Follow Polarn O. Pyret on Facebook to get the latest in deals and duds, thanks P.O.P for gifting these amazing pieces, we love you! Congratulations to Erika B who won this giveaway! 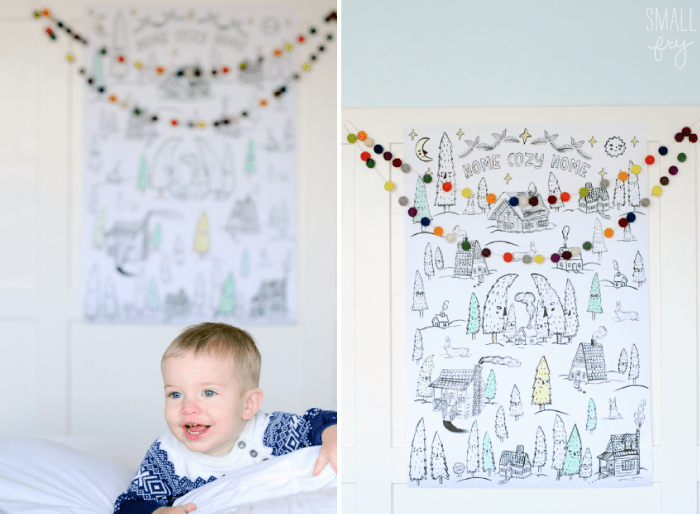 Decorating a nursery or kid’s space is such a fun project to undertake. There are so many areas to take risks we might not otherwise try in a family living space. Bright colors, mixes of patterns, fun art, and sweet details are all part of interior and fabric designer Caitlin Wilson‘s expertise and we are such huge fans! 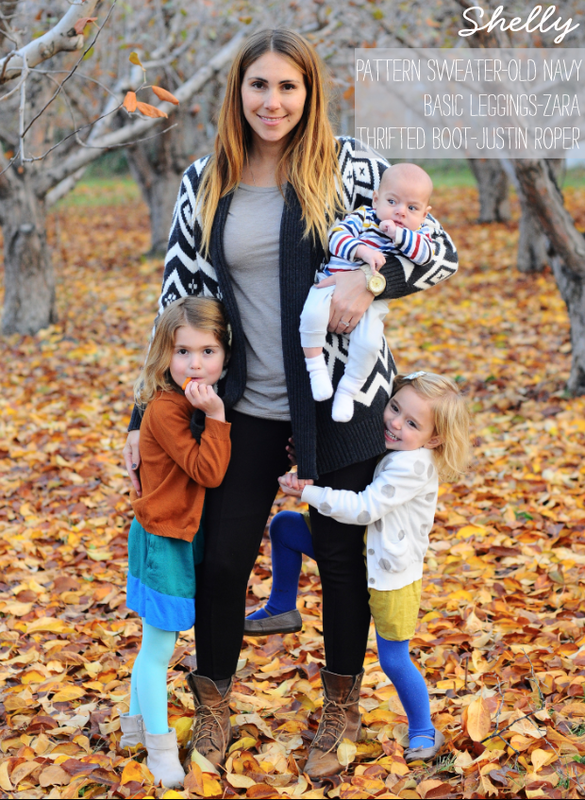 Caitlin is a mom of two darling kids, Olivia and Penn, and juggles work and family in a beautiful way. 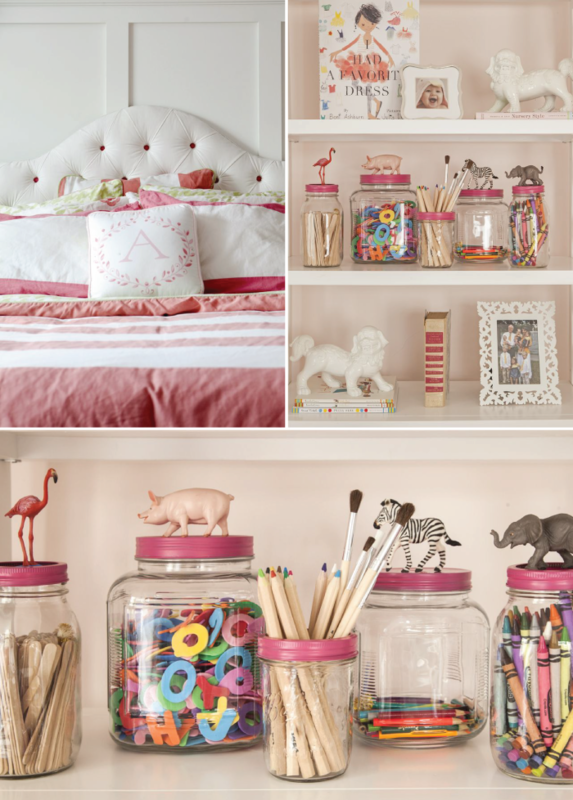 Her interiors are flawless, (see below!) and her fabric designs and pillow line are all lust-worthy, so we’re so excited CWD is giving away a signature deco border pillow to one of you! All interior images courtesy of Caitlin Wilson. 1. Visit Caitlin Wilson Textiles and comment with the border pillow color you’d choose for your home. 2. Follow CWD on Facebook, Instagram (@cwdesign) or with CWD blog via Google Friend Connect. 3. Follow Small Fry on Facebook, Twitter, Pinterest, Instagram (@smallfryblog) or Google Friend Connect. 4. Add Small Fry’s button to your site for five additional entries. The randomly selected winner will be chosen and announced Thursday December 6th at 5:00 am MST. 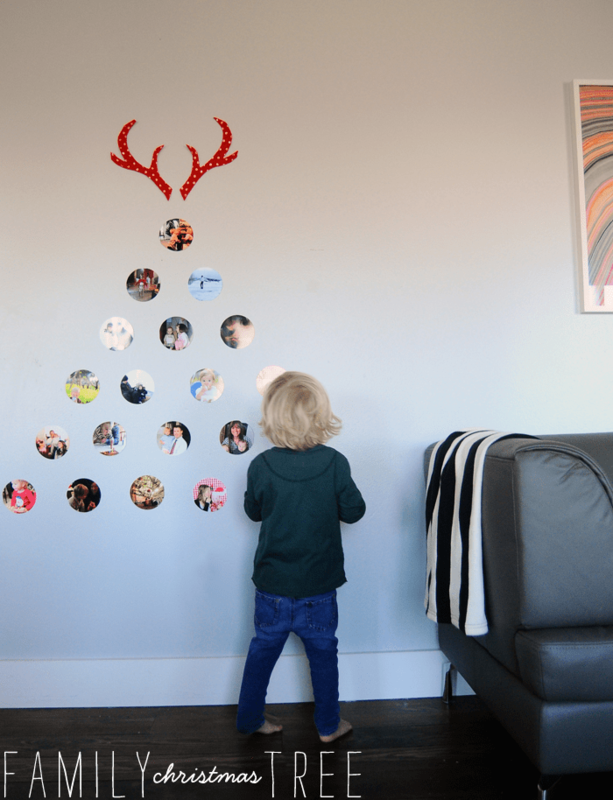 On this, the last day before December, we want to share a darling junior sized Christmas countdown chain, just like we used to make as little girls. We debated an advent calendar, but all our kids are four or younger, and trying to keep those mitts off twenty-five tiny presents is almost laughable. 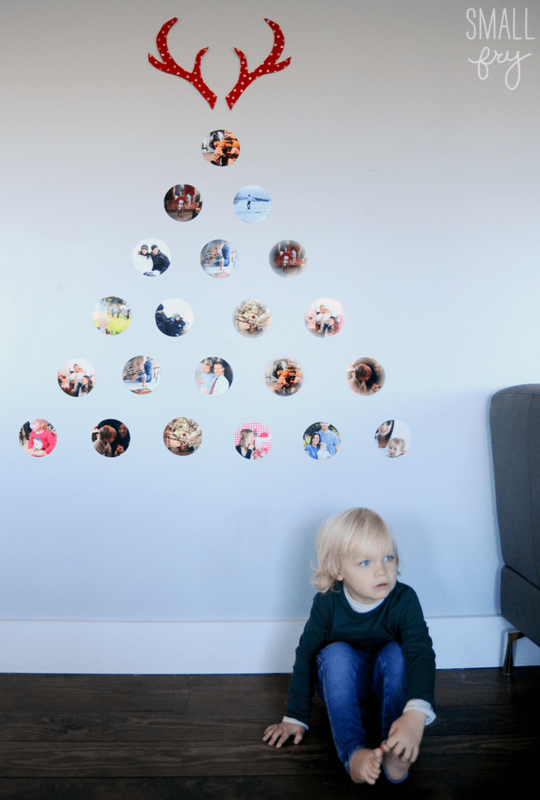 This paper chain is a lot less headache and you can personalize each link with a holiday activity, act of service, or even a little love note. 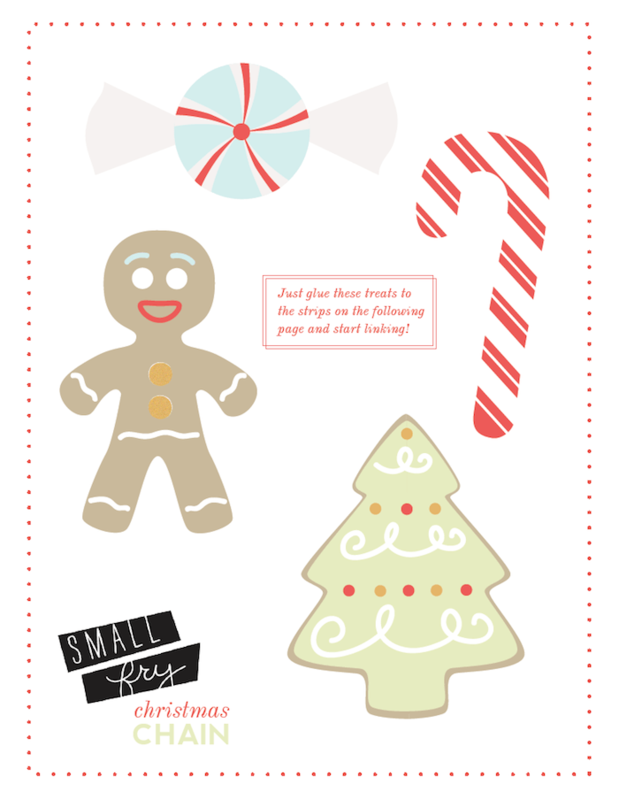 Tori of That Pair of Crutches (a must read, darling blog, and also an Etsy shop, enter SMALLFRY for 15% off) whipped up this free printable for us and we know you’ll love it, too! Here is what’s included in the download, click “download” at the bottom of this post to access the file. If you’d like to make the links a more standard size, print double the amount of link strips and connect them together, easy enough! We just love anything mini, and this goes for our countdown chain as well. Also, congrats to Paige Young and Lindsay of Run Lucas Run for winning the pairs of Freshly Picked moccasins via Brickyard Buffalo! Email us your addresses and we’ll get them sent right over!